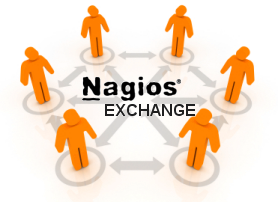 Nagios® Exchange is the central place where you'll find all types of Nagios projects - plugins, addons, documentation, extensions, and more. This site is designed for the Nagios Community to share its Nagios creations. There are 5760 listings in 457 categories on Nagios Exchange! This document describes the inbound email commands that are accepted by Nagios XI when it receives an email response to a notification. This document is intended for use by Nagios Users who want to respond to incidents by email. A friendly Script to maximize the installation of Nagios Core and Plugins in CENTOS 7 Pt-Br Script para instalação automatizada do Nagios Core 4.4.3 e do Nagios Plugins no Centos7. A wizard to create checks that monitor values returned in a web service's JSON response. This script will check if any new user is created on your linux server whenever the check is performed. This script will help in acknowledge host alerts for n number of hosts in your large environment. Just enter the list of hostnames as configured in nagios in server_list.txt file. This script will help in scheduling downtime for n number of hosts in your large enviournment. Just enter the list of hostnames as configured in nagios in server_list.txt file. check_cisco_ssh_user_login 1.0 What it does * Using state of the art non-blocking/async IO (EV and Mojolicious) * Proper error handling ! * Login via SSH (hostname, username, password) * Issue command "show users" * Parse the output and find the user which we use for the connection * Disconnect properly (no needless log violations in the cisco device) * Return the correct exit value according to the output or errors (ssh->error) * Tested with linux, darwin(osx), freebsd and openbsd (Could work with other derivates too !) See github project for installation !